When there’s a chill in the air, I start thinking about warm and cozy things: wool sweaters, fuzzy slippers, and flannel sheets. 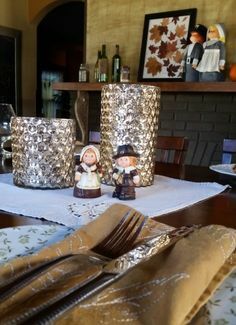 For me, fall decor means texture…even better if you can do it on the cheap. Check out this textured fall wreath I made for less than $15. Scrap yarn (free) Don’t have scrap yarn? Don’t worry. You can easily find some. It might be a little more if you had to purchase yarn or buttons. So, let’s just say less than $15! Dissemble the brown paper bags and cut strips 3 – 4 inches wide. Be sure that they are long enough to wrap around your wreath form. Exact size does not matter here. Twist your brown paper bag strips making sure none of the logos or print is showing. You can see more at PopSugar. Glue your strips to the foam form. Don’t worry about gaps. 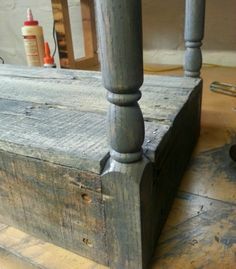 You can cut shorter pieces to twist and fill in the gaps. It adds texture. Continue until you have covered about two thirds of the wreath form. It’s just as easy as it sounds. Glue the yarn to the back of the form. Wrap the yarn around until it is roughly the same depth as your paper. If you want…you can add another strip of brown paper to either end of the yarn portion. This will make for a nicer transition. Grab your scrap yarn in various fall colors. Knitting flowers is fun and easy. I used a variety of patterns. If you crochet, please share your favorite patterns with us! Purple and orange flower – Follow these great instructions from Nicky Epstein over at Craft Yarn Council. Yellow flower– I used Nicky’s pattern for this with a slight modification. Knit one piece exactly to her specifications. Sew the ends together, loosely. Knit 2 more pieces by casting on 20 sts and following Nicky’s pattern. Sew all 3 pieces together to make a larger flower. Red – Follow this spiffy flower pattern from Yarn Tree Designs. Add buttons to the center of your knitted flowers. Arrange flowers as desired and glue in place. You did it! 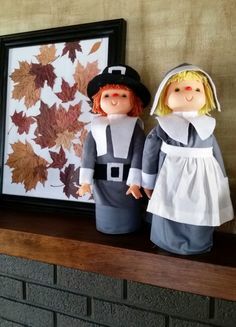 You have some new cozy fall decor for your door! Practice glue gun safety. No joke. Have a knife or pencil or something that can hold the wrapped paper in place until it sets. You can buy brown paper bags from Aldi for 10 cents. If I use up the scrap yarn in my stash, I can buy new! Love this idea! So creative and used things that would otherwise be wasted! Go Josie! Thanks, Dottie. It warms my heart to reuse materials.